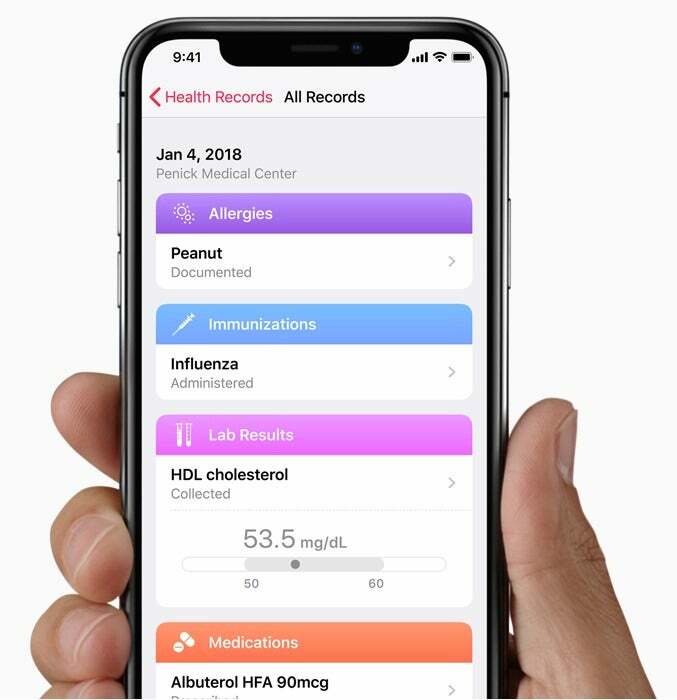 Apple's Health Record app allows patients to pull in their healthcare info from multiple providers onto a single record they can share with clinicians, regardless of where they work. Here's how that's working for two hospitals. After touting the electronic medical record (EMR) feature in its iOS 11.3 release, Apple said that – as of last week – 39 hospitals have signed up to test the software, which will allow patients and healthcare providers to interact on iPhones and iPads. Officials at two of those institutions, Johns Hopkins and Penn Medicine, see promise in how the field is evolving. "I think that's going to be one of the next challenges for Apple," he said. "Now that this raw data is available, how do you translate it into something that's more user friendly, more intuitive for a clinician? It doesn't include physician notes at this point, which is probably a good thing." 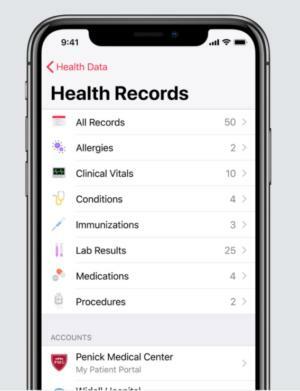 The new Health Records feature relies on the existing Health app (released in 2014 on iOS 8) to allow medical facilities to connect via an API to their EMR systems to share data with patients in a standard format. EMR vendors such as EPIC, Cerner, Athenahealth, Meditech and AllScripts, worked with Apple to enable integration with the mobile app. When a patient downloads the Apple Health app and chooses to allow their health data to be transferred from a healthcare provider to Apple's Health Record, it is encrypted and does not traverse Apple's network. Applle's Health Record enables a view of high-level patient care data from disparate healthcare providers through standard industry interfaces. When a user's iPhone is locked with a passcode, Touch ID or Face ID, the health data in the Health app is encrypted on-device. If a user chooses to sync their health data with iCloud, it is encrypted while in transit and at rest, according to Apple. "I love the privacy disclosures and clarity...with regard to the patient. I think they're [Apple] absolutely exemplar in this regard and way ahead of others," said Dr. Peter Greene, Chief Medical Information Officer at Johns Hopkins Medicine. More than 400,000 patients who use the Johns Hopkins Medicine web portal powered by EPIC's MyChart app now have access to their EMRs via Apple's Health Record, according to Greene. Turning the Apple Health Records function on was a relatively small project compared with others the healthcare system has tackled in the past, he said. "You're turning on this interface allowing people to use Open Authentication Standards to open MyChart," he said. "For us that didn't take long." "You need to have a really solid electronic medical record foundation in place. That was the big lift for us. That took us years, thousands of hours and millions of dollars," Restuccia said. "Once you have that in place, you can do a variety of innovative and cooler things. 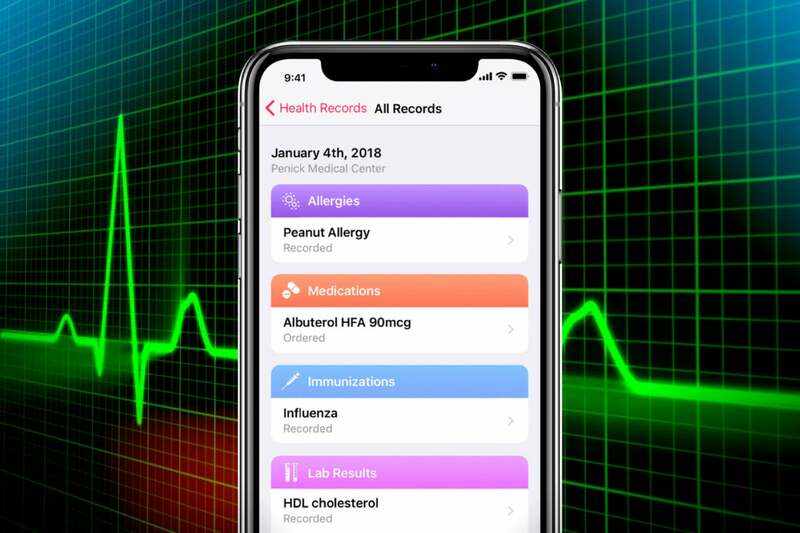 There really weren't any speed bumps rolling out Apple Health Record. It's fairly well laid out." In January, Penn Medicine, a healthcare system with more than 1,500 beds, began testing the Health app. Several of the healthcare system's staff agreed to share their own de-identified EMR data with Apple to ensure it could be properly transferred onto the Health Record app and then displayed on an iPhone. 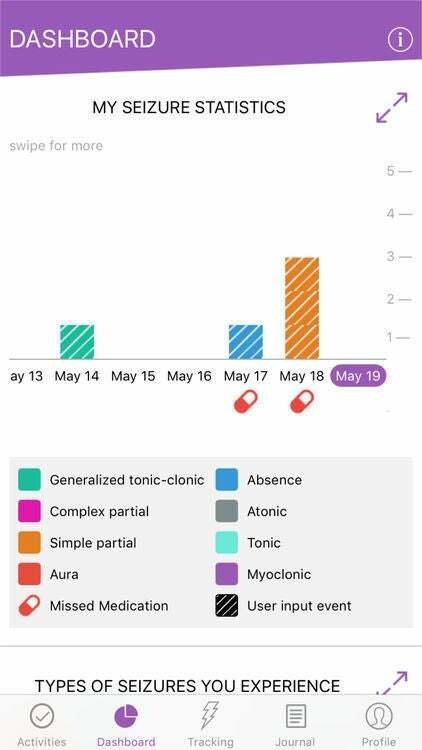 The beta test of the app was well received by the employees because once their data was uploaded, it could be aggregated into a standard format that was easily viewable along with data from other medical facilities, regardless of the EMR system used, Restuccia said. The Health Record app has now been generally available to patients of Penn Medicine, but it's still too early to say how they're adopting it or whether they like it, Restuccia said. "I think Apple does a good job establishing a good working relationship with many of the EHR vendors," said Restuccia, whose healthcare system uses the EPIC EMR platform. "So, whether it's EPIC, Cerner, Meditech, AllScripts, I think they develop that relationship and they actually do a lot of the heavy lifting behind the scenes to ensure that interface...is in place." Apple's Health Record uses the Health Level Seven (HL7) application programming interface (API) and the Fast Healthcare Interoperability Resources (FHIR) industry standard; the two specifications enable all EMR platforms to upload basic patient data from a standard continuity of care document (CCDA) into a single Apple format, once the patient opts in. 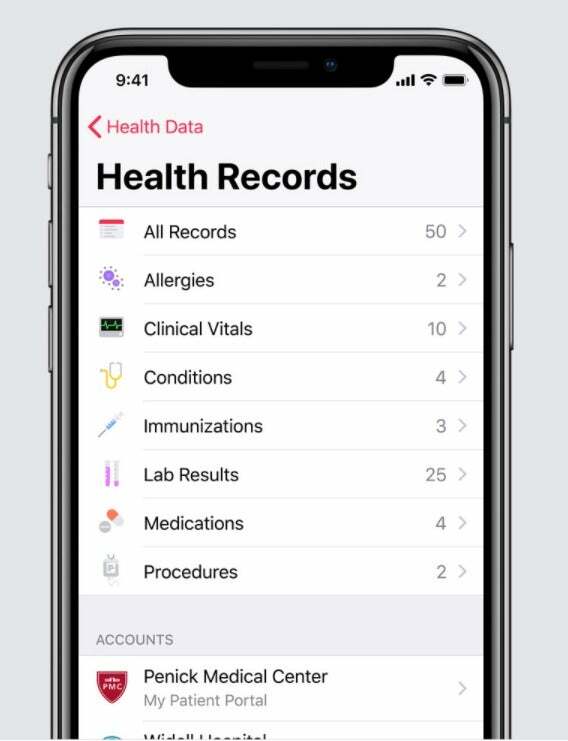 While not granular, the information in Apple's Health Record does include a patient's allergies, medical conditions, immunizations, lab results, medications, procedures and vital signs; Consumers also can receive automatic notifications when their health data is updated. "I think the good thing about the Apple solution is that the data only resides on the end-user's device," Restuccia said. "So, we don't have access to that. Apple doesn't have access to the data. The beauty of the solution is it is patient managed, patient controlled, patient centered." The HITECH Act of 2009 required healthcare facilities to implement EMRs. EMR data sharing between disparate vendor platforms, geographically dispersed facilities and unassociated medical institutions, however, flatlined for years. And health information exchanges (HIEs), which enabled data sharing, remained at a standstill mostly because of industry pushback – much of it from EMR vendors themselves. EMRs have been splayed across multiple healthcare systems, each one requiring patients to log into a proprietary web portal. In the past several years, however, the FHIR interface has been made available for every major EMR vendor, enabling the aggregation of EHR and other data from disparate facilities. There's still a long way to go before that information can be easily transmitted between health systems, including the Veterans Administration (VA), Greene said. And the data that can be transmitted today is basic, not detailed, he said. "We've tried for many years to set up (HIEs) and any number of ways to share patient records," Greene said. "It's a hard industry problem. You hear the VA ruminating about how hard it's going to be to do deep integration with the private sector, and that's not a solved problem at this time. "It is really exciting the patient now has a way of having that control and can share that data when needed," Greene said, referring to Apple Health. "Now, we're headed in a direction that's going to make a difference for patients." 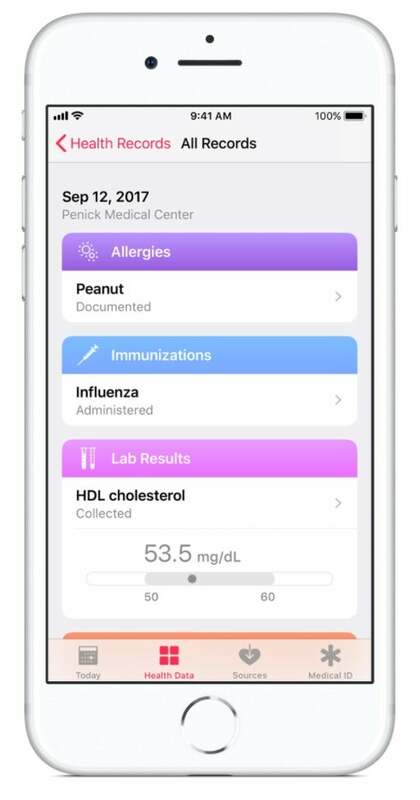 What's particularly exciting about Apple's Health app, Greene said, is it enables not just Apple but third-party developers (approved by Apple) to create tertiary applications that can use data analytics and artificial intelligence for health research. Johns Hopkins Medicine has been beta testing each of Apple's healthcare development platforms: HealthKit, CareKit and ResearchKit, Greene said. "On the ResearchKit side, we have our EpiWatch application, which involves the [Apple] Watch and tracking seizure disorders patients have," Greene said. "So, because of the amount of data we have access to, we can be in a much stronger position with patients who enroll in that research study." Johns Hopkins created an application tied to CareKit, called Corrie, which tracks adherence to medication regimens in patients who've suffered heart attacks. "Will this be easy enough now that it will create a critical mass [of users] where it's worth the time of not just Apple but others to create applications? We think it is," Greene said. "Where the puck's going, as best I can tell, is this is going to be very attractive in a way that's empowering to patients [because it] allows them to be independent of any individual clinical provider." At this point, however, the data that Apple Health Record lets patients view from multiple healthcare systems is not available to clinicians; they must ask the patient to share it. "We're not able to pull that data in," Greene said. "We have to ask them deliberately if they want to share that with us." Regardless, Greene believes Apple's Health app is particularly valuable for patients who have complex care coordination needs where they need to share information with other providers, perhaps urgently. Otherwise, the system is unable to make that connection. "This is a really good thing to ensure anytime you have your record information on you and can immediately share that in an urgent situation with your next provider," Greene said.